As a child, she devoured stories that she found at her local library. Divia Patel was also fascinated by the physicality of books, how they smelled and felt, as well as the typography and illustrations within them. 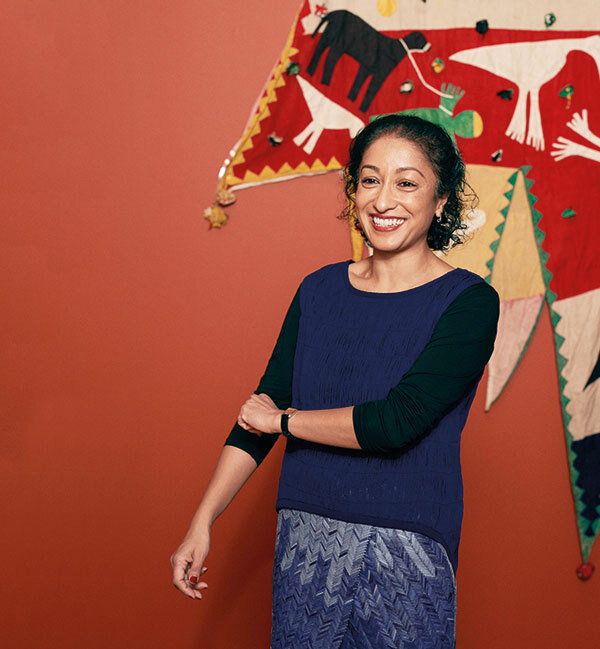 Born in Kenya but spending most of her life in London, she studied South Asian anthropology and history and is currently senior curator in the Asian department at the V&A. In 2015, she curated The Fabric of India, a landmark show that highlighted the country’s rich handmade textile heritage and also published India: Contemporary Design: Fashion, Graphics, Interiors. While she has a few upcoming exhibitions in the works, she is deeply involved in researching modern Indian textiles and revival projects.